The Manx cat as it names suggests originates from the Isle of Man off of the British coast. A community of cats stranded by their circumstance have over the years interbred to cause a very distinctive deformity that gives the breed its unique appearance. The cat is distinctive for it's lack of a tail and its stocky build, which is in fact due to a mutant gene that has caused the spine to end close to the body. Rumpy - the cat has a hollow where the tail would have begun. This is the variety that is shown at cat shows. Rumpy Riser - has a few fused vertebrae at the end of the spine, which can be felt and seen. Stumpy - has a very short tail that can be moved. Longy - has a tail that looks almost normal. This variety is often confused with a normal domestic feline. 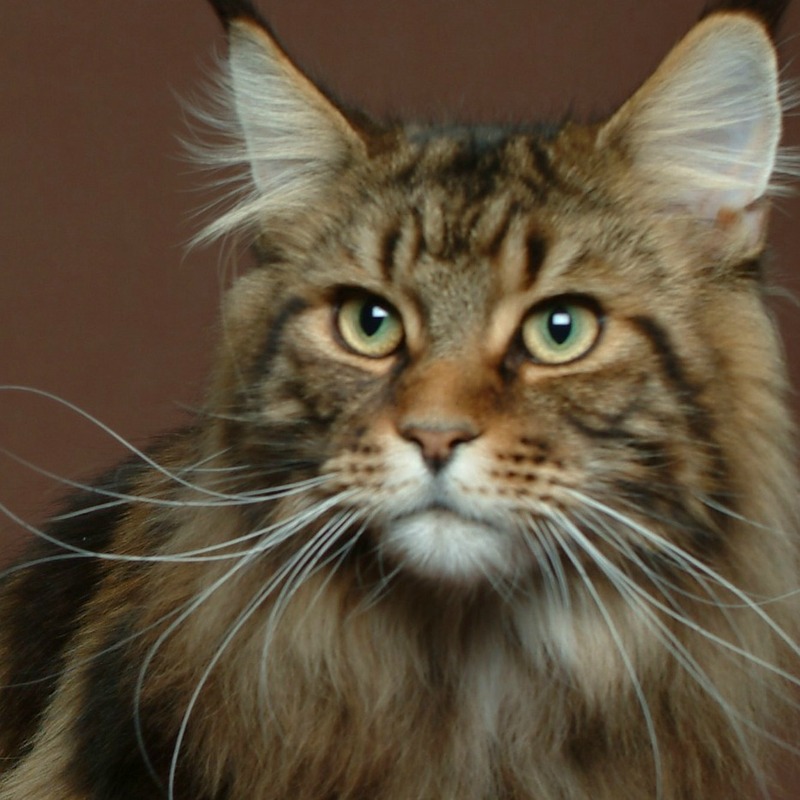 Cymric - A rare longhaired variety of the cat breed. The breed can come in all colour varieties except colour pointed and the lilac and chocolate colour are not recognised by the cat shows. Coat: The Cat has a double well-padded coat designed to keep them warm in the often cold conditions of the Isle of Man. Eyes: The cat has large round eyes that are coloured according to their coat colour. Grooming: The cat breed has an easy coat to maintain, as it is relatively short. Regular brushing will ensure the removal of loose fur and grit and help to prevent hairballs. This cat breed has a calm temperament that is very intelligent and active and so requires a lot of space to roam. They are very loyal cats that like to be in the company of their owner. See this book for more information about this breed.